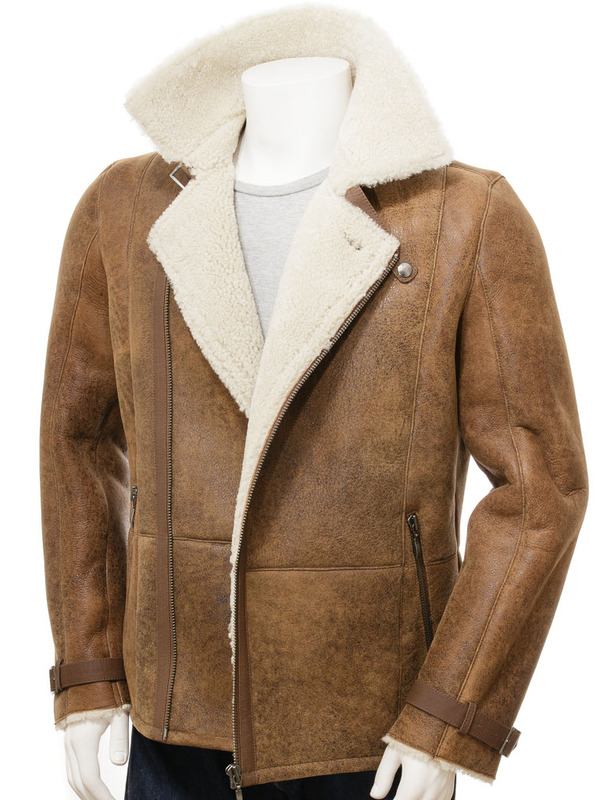 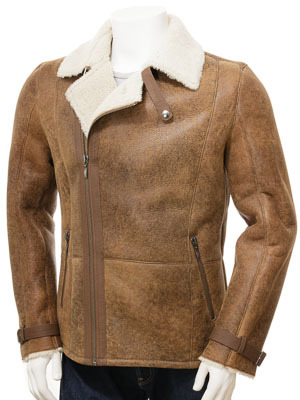 A serious, super-lux brown sheepskin shearling jacket in a biker style. 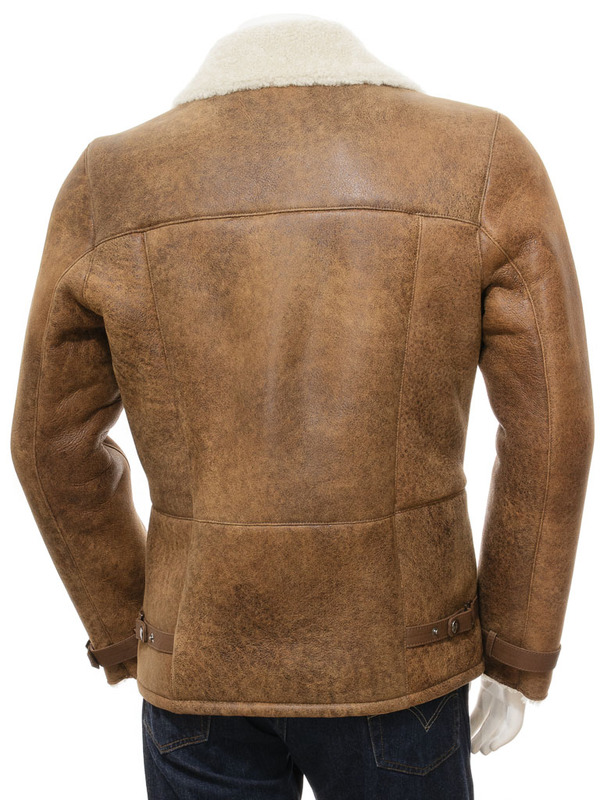 Crafted from a wonderfully thick, soft sheepskin hide to a semi-matte finish this jacket is all you need to protect you from the freezing chill of winter. 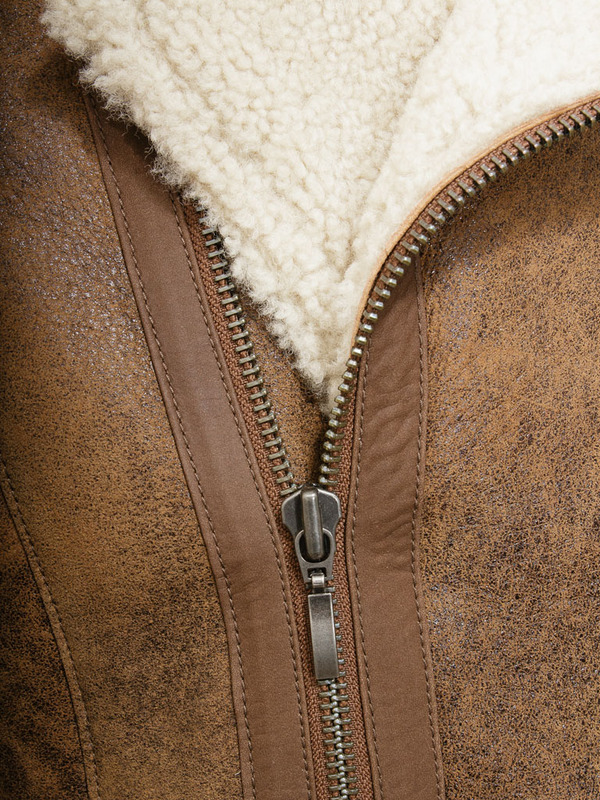 A double breasted front works brilliantly at stopping wind from entering and is fastened by a chunky gunmetal zip placed to one side which extends up extends up to the throat. 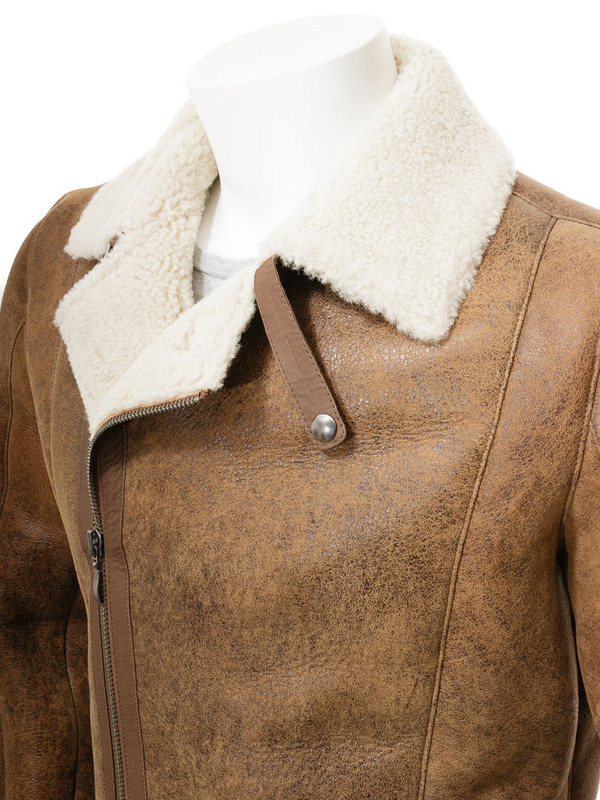 A button at the top keeps the flap from opening out and, if the wool fleece lined collar is turned up, a press stud collar strap completes the look.